This years EUROBIKE started yesterday and sadly we are not able to get there again. 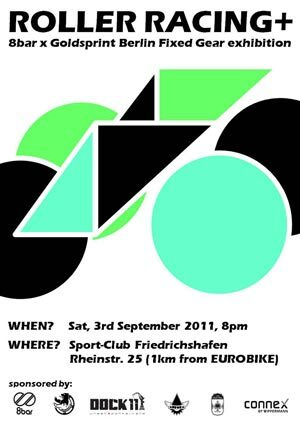 Really sad, because there are a few pretty nice side events, exhibitors (Cinelli with their classic Laser Track Re-Issue!!!) and of course a lot great people we’d love to meet. Maybe next time.